Holy something! I'm having a hard time wrapping my thoughts into one little post to share with you. To some people all this may seem a little too woo-woo, but to me how our bodies, brains and nervous systems all work together--without being conscious of it-- just fascinates me. Like how breathing can effect our stress levels or my Fascination with Fascia, everything is linked together. Anyhoo, I figure the more we know our bodies and listen to it's cues the better. So I'm gonna post a little anatomy 101 every once in awhile. 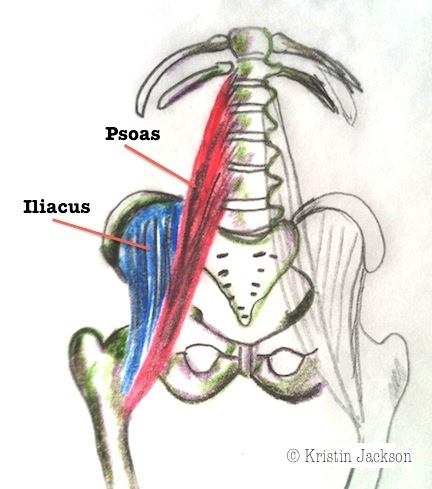 Today I'm focusing on the psoas. Sometimes it's referred to as the iliopsoas because the lower fibers of both the iliacus and the psoas major connect to the the femur (thigh) bone of the leg at the same point on the less torchanter. There is also a psoas minor, but its present in only about half the population. The psoas is the only muscle that connects between the spine and legs. According to psoas expert Liz Koch, a chronically tight psoas tells your body that you are in danger all the time, which can cause adrenal fatigue and lower your immune system. Your diaphragm and your psoas connect to your spine at the same lumbar vertebra. Deep within the muscle fibers of the psoas runs the lumbar plexus, which a major intersection of nerves that connect to the abdominals, pelvic floor, hip and thigh muscles. On an emotional level, we are all born with an instinctual response to curl up in a fetal position when we are scared or threatened. And what's one of the muscles that fires when you flex into that little ball? Yep, the psoas. As infants or adults, it's ready for action whether we need to fight or flee. That's why some people call it the emotional psoas. If you've heard of Chakras, you know that the second chakra (of the seven) lies with in the pelvic/sacral area. This chakra is known as the sensation center and is associated with all the things that are connected to the lumbar plexus. See how its all ties together? Emotions, posture, muscles, nerves, chakras--they're affected by each other. Pretty fascinating if you ask me! 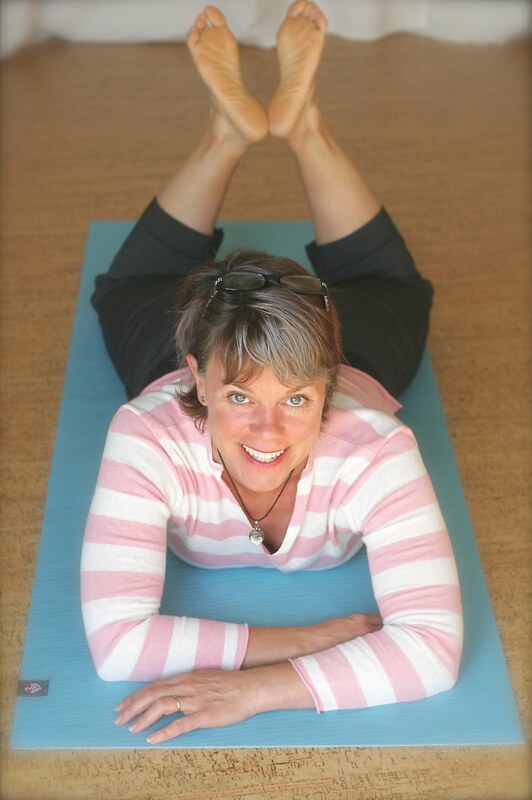 Next up I'll share with you some stretches for your psoas and exercises to strengthen the opposing muscles. Stay tuned! P.S. If you find this Anatomy 101 idea a good one, I'd love to get your input or questions for future posts. Thanks! I'm guessing you're talking about the video I posted on the landing page of the blog the same day I posted this post.